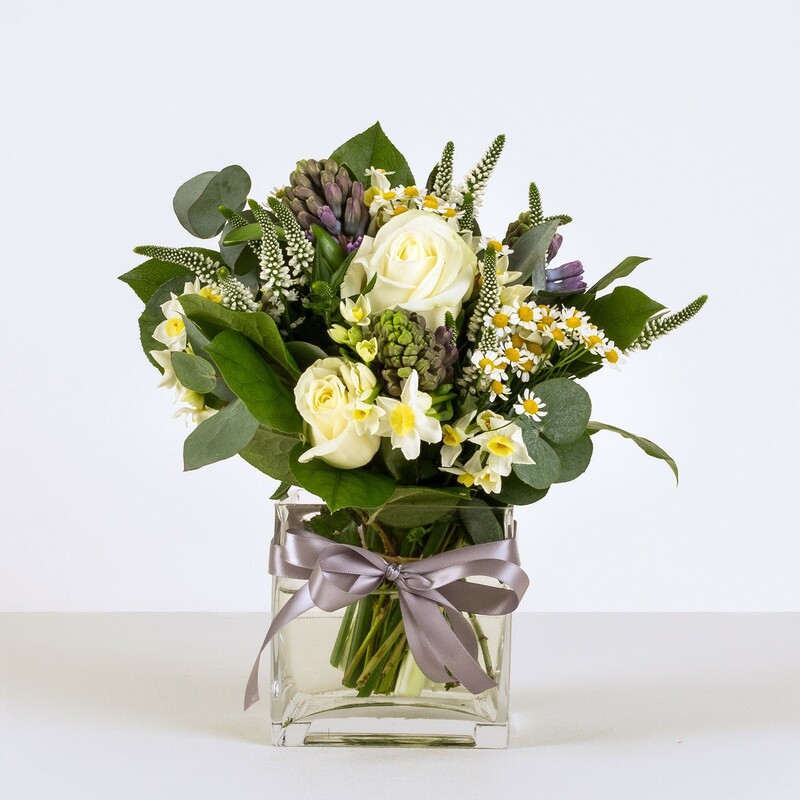 For an arrangement that sings with elegance, grace and classic beauty, look no further than our Soft Meadow Cube. We have focused on soothing creams intermingled with vibrant golden-yellow touches, all set off stylishly with fresh green foliage and silvery eucalyptus. The result is a truly stunning display that offers a hint of luxurious opulence. Gorgeous cream roses bring their iconic charm, and look superb when placed next to the cheerful, daisy-like heads of tanacetum. We have included sprays of snowy-tinged veronica for texture, while the bright yellow trumpets of narcissi add that extra bit of panache.